That is how long the title fight lasted – a round and a half. 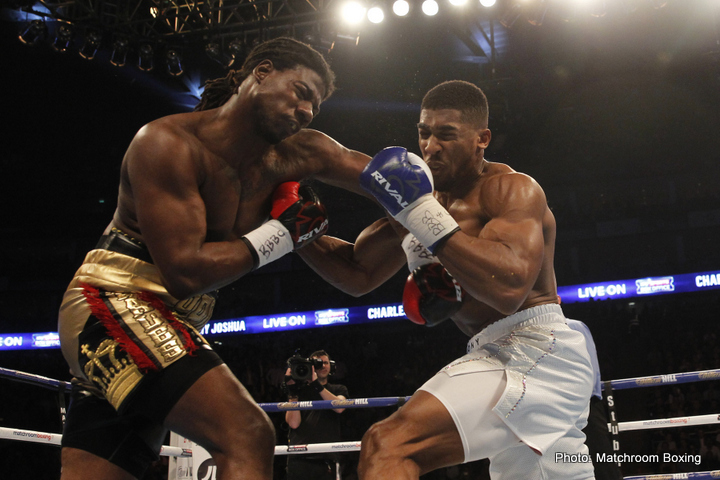 Anthony Joshua (16-0) had not even warmed up before the mockery of a heavyweight champion in front of him fell apart. 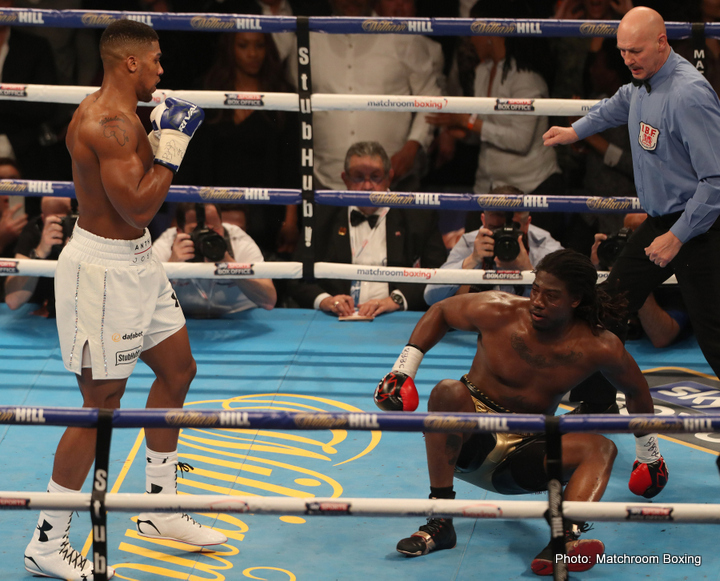 Charles Martin (23-1-1) is a remarkable exception in the sport where sometimes boxers pose as champions and play their part until the bluff is inevitably called. In this case there was a champion posing a boxer and his bluff was blown to pieces in no time. This was Martin’s 25th fight and his first loss, so there are 24 or so heavyweight boxers out there who are even worse. Boxing is not a game, you can play football and basketball but you do not play boxing, it hurts. How do these people get licensed and sent to risk their health? There are a number of qualifying tournaments for Olympic boxers before they can compete on a higher level and you have to be an excellent athlete to make it through the sieve. There is a course and an exam for taxi drivers, electricians, plumbers – perhaps if everything else fails you could become a professional heavyweight boxing champion. Round 1: Both fighters were tense and cautious in the first minute. Joshua took centre ring and started marching forward maintaining good stance and discipline. Martin took a wide stance with his feet turned in such a way that he could hardly move laterally. His front leg was completely extended as if he was trying to do a split. This impeded his forward movement and he would only go straight forward or straight back anyway. This confused Joshua initially as he expected a trap form the southpaw until he realized Martin had no idea which way to go. 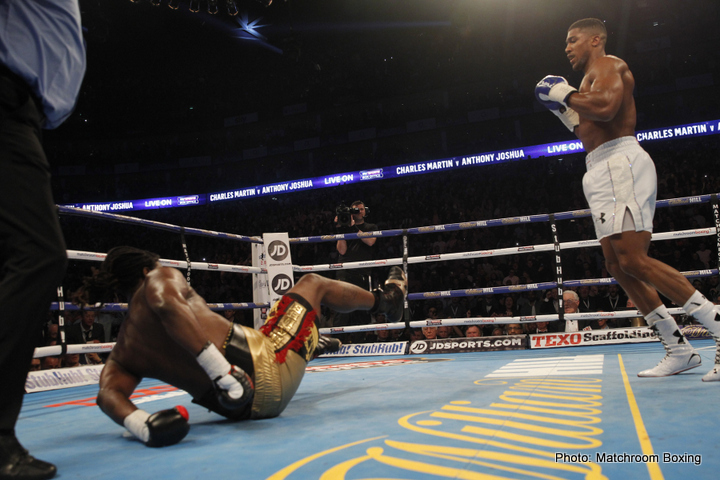 After the IBF champion managed to bump into the ropes on every side of the ring and lost his balance without any outside help, Joshua attacked with a lead right hand and hurt his man halfway through the round. The American went from alarm to panic and started fighting a little better. He found some spring in his movement but his punches started from the elbow. He would not just telegraph them, he “e-mailed” them as he raised the elbow to his side and then the glove would arrive without any weight or shoulder muscle behind it. The British boxer openly went into seek and destroy mode and appeared as if embarrassed with his opposition. Martin did not belong in the ring with an Olympic champion. He took several more one-twos and right hands and the challenger did not even have to set them up. The champion’s defense was to turn his head away from the shot as if he was offended and when he decided to punch back, he first dropped his head forward. His head movement was sending clear signals to Anthony Joshua who was in a hurry to put an end to the misunderstanding. Round 2: The challenger became the predator on the prowl while the champion tired simply to survive on self-preservation instincts. It didn’t work against his opponent’s Olympic boxing craftsmanship. 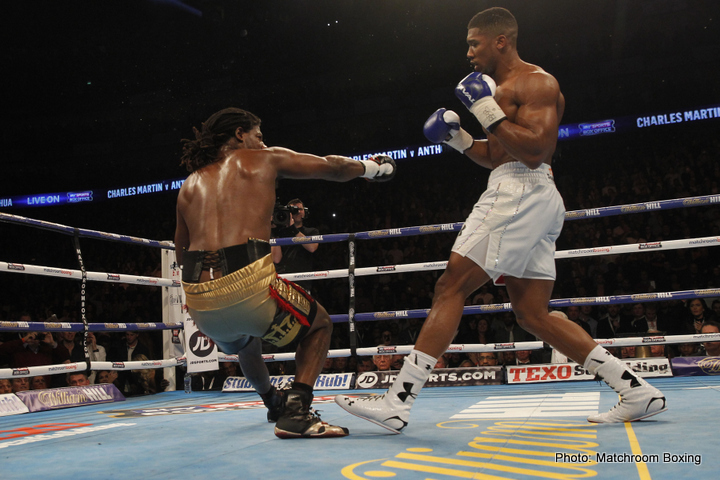 Joshua feinted with a jab, Martin answered with a feeble jab of his own and kept his arm in the air when he was timed with a straight right hand below the high elbow and right on the button. Martin beat the count and got up to throw a jab which Joshua slipped and countered with another straight right between the arms knocking him down again. Any of the basics boxing skills would have deflected or evaded both of the knock down blows. Martin was down for the second time, he wasn’t badly hurt and stood up at 9 but the referee mercifully ended the one-sided battery. Martin was in no position to defend himself, perhaps he should be advised to take up boxing. 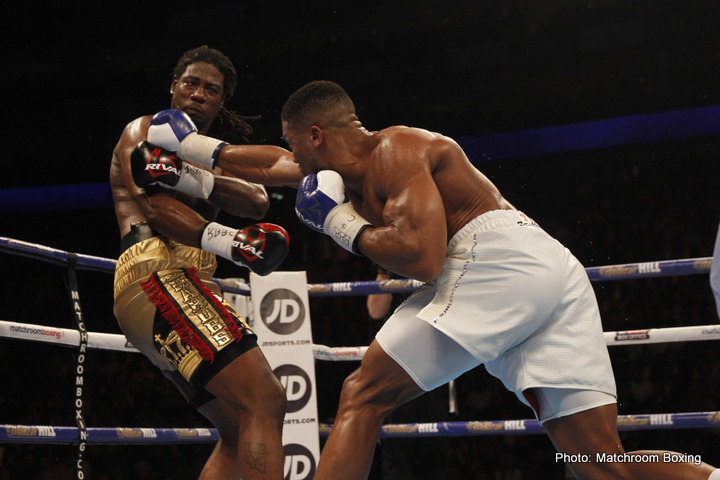 Anthony Joshua is the new IBF champion and it’s quite an improvement. If he steers clear of Luis Ortiz, Klitschko, Fury and Povetkin and carefully selects opponents from the second tier such as Wilder, Pulev, Chisora, Haye, etc., he could enjoy a longer reign. Previous boxing news: Pacquiao dominates Bradley in “final” fight; but has Manny really boxed his last?